The walk is organized by the Mi'kmaq-Wolastoqey Centre at the University of New Brunswick as part of the annual Red Shawl campaign. More than 50 people gathered today to "walk a mile in her moccasins" as part of the annual Red Shawl campaign to raise awareness on missing and murdered Indigenous women and girls. "It's a crisis in First Nations communities, that not enough justice is taken on all of these lives that are taken away from us, especially the ones that are taken so young," Sabattis said. 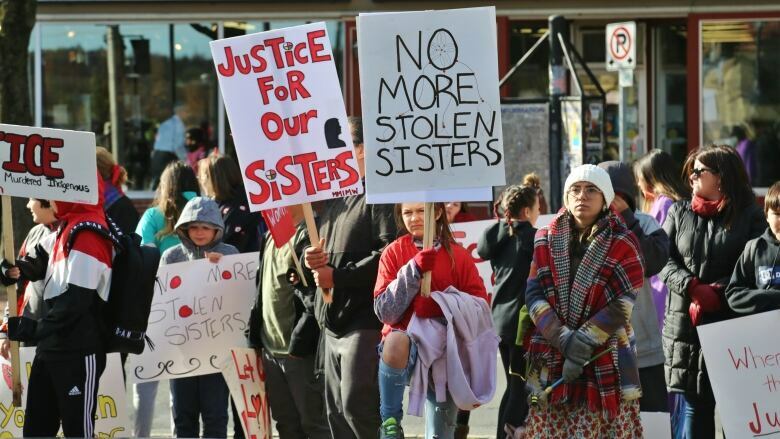 According to the RCMP's 2014 report Missing and Murdered Aboriginal Women: A National Operational Overview, in the past 30 years there were 164 Indigenous women who were missing and 1,017 Indigenous women who had been murdered. "It makes it feel like we're not alone. We're all here to represent the same thing, we're here to stand up for Indigenous women," she said. Also in the crowd of walkers was a group of students from Devon Middle School. "I believe that it's something that should be taught about in schools. So much of our history was forgotten, so much of our history was ignored and now we are taking the time to show our children the truth," Acquin said. She said it's important the younger generation is educated on this issue so they can continue to seek justice and change. "I think by bringing the children it makes sure that the word goes out, it makes sure that the justice is being kept and those kids are saying, 'What, why is this happening?' So we have them asking the questions and they're going to ask all the right people," she said. The walk was organized by the Mi'kmaq-Wolastoqey Centre at the University of New Brunswick as part of a whole week of activities for the Red Shawl campaign. 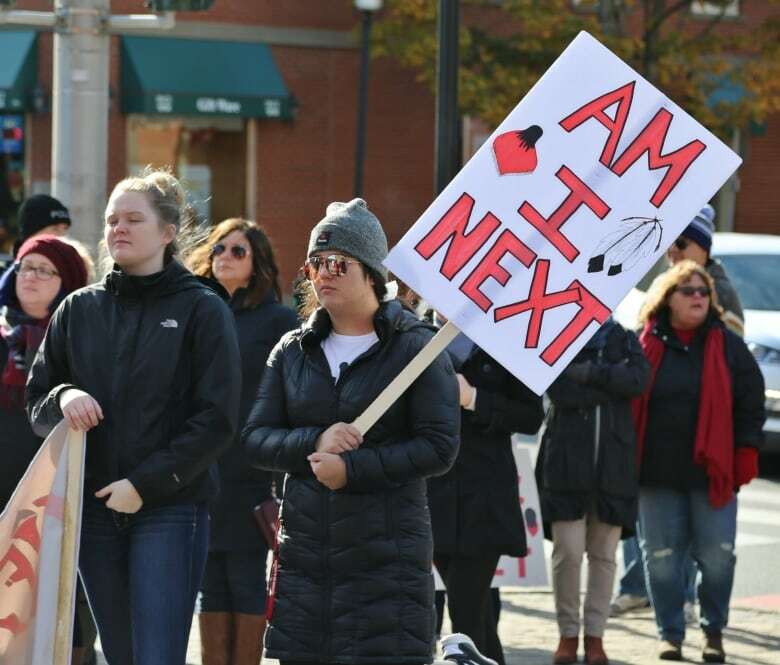 "What we wanted to include this week was just to create the dialogue for the missing and murdered indigenous women and to create the network," said Chelsea Cullins, one of the co-ordinators. In addition to starting a dialogue about violence against women, Cullins said it's important for the families who have lost a loved one to have their memory honoured.